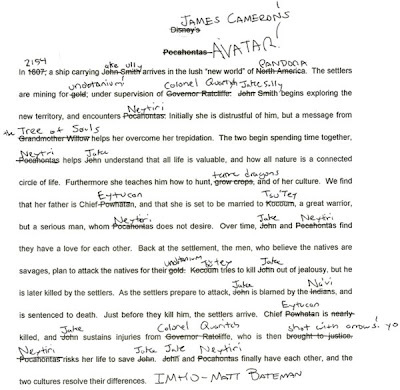 Yup - this pretty much sums up the plot of Avatar. I really liked a comment in one of the reviews for the film that James Cameron never lets a good story come in the way of special effects. Though, when I first saw it a few weeks ago, the inanity of the story did prevent me from appreciating its visual craft (even in IMAX 3-D). But I plan to see it again, with much downgraded expectations, before its 3-D version leaves the theaters.